2400 Market Street in Philadelphia, Pennsylvania’s largest city, is a landmark building undergoing renovation and major expansion. Originally built as a Hudson Motor Car plant in the 1920s, the building is being transformed to provide 600,000 square feet of space for offices, retail and a hotel. This $150 million construction project signifies the westward shift of the Center City to the growing University City district of Philadelphia. 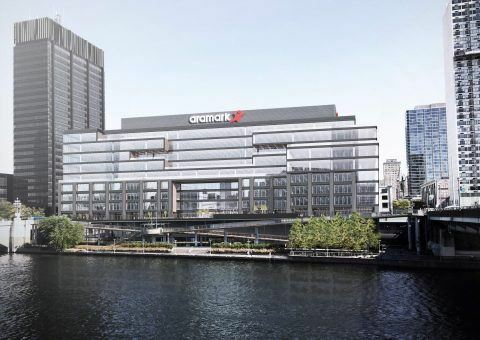 Developer PMC Property Group is constructing a five-floor steel superstructure – above the old concrete building – that will house the new global headquarters of Aramark. The 1,200 employees of the food and facilities management giant are currently split between two office blocks elsewhere in the city. The extensively renovated four floors beneath will be leased to other tenants. Occupying an entire city block alongside the Schuylkill River, the modern glass and steel development has been designed by architects Gensler and Varenhorst to high sustainability standards under the LEED (Leadership in Energy and Environmental Design) certification system. The completed building will feature abundant green space on outdoor terraces, highly efficient variable-refrigerant flow heating and ventilation systems, a floor-to-ceiling waterfront glass-line, and a promenade link to a popular riverside walking and biking trail. Property owner PMC Property Group, which is both developer and main contractor for this challenging project, retained HKA to supplement its construction team. Our role is to oversee construction, liaise with all parties and ensure the project runs to schedule and budget. The high-profile project has posed technical challenges – not least cutting an elevator shaft and stairwell through the heavily reinforced concrete floors – as well as scheduling complexities. A construction management specialist and scheduling expert make up the HKA team. Our first priority was to finalise the project manual, comprising all plans and specifications for the building works, so Aramark could commission the design for its office fit-out. We developed and maintain the critical path method (CPM) schedule and devised the reporting mechanisms to the client and Aramark. This includes monthly updates on progress towards milestones set for individual floors. As each floor completes, it is then handed over to fit-out. HKA’s role also involves: •	Acting as a liaison between the developer, Aramark and its representatives, and subcontractors. •	Overseeing and reviewing construction documents and project correspondence. •	Attending weekly progress meetings, design status sessions and site tours. •	Anticipating and resolving technical and other problems that could lead to disputes between the parties. •	Making recommendations to the client to keep the project running smoothly. All milestones to date have been achieved on time or in advance. The HKA team helped nurture a culture of mutual trust through open and honest communications with all parties. The 2400 Market Street project is on course to achieve overall occupancy by the end of 2018. "2400 Market Street will be vital to the continued development of Schuylkill Banks, Western Center City and University City. 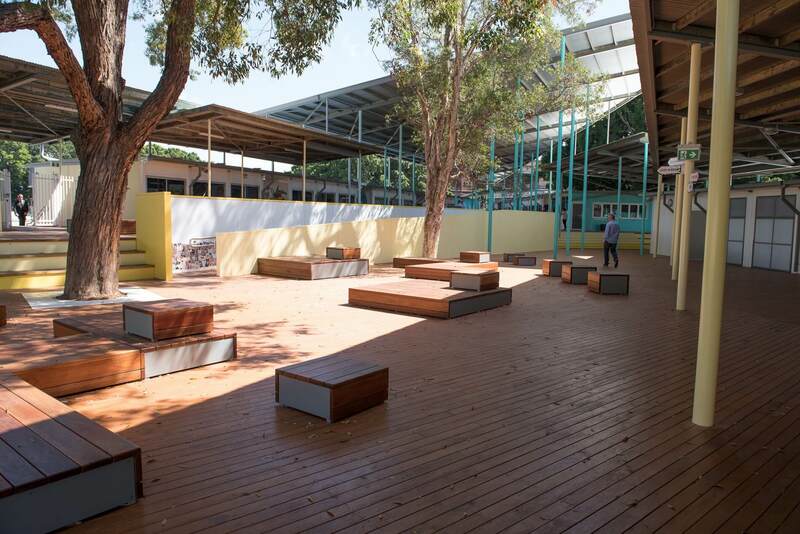 HKA’s services are providing an added level of oversight on this important project."